The reunion will take place at Feathered Pipe Ranch in Helena, Montana. The Ranch will provide food and lodging for all troupe embers and their guests. Friday afternoon and evening are reserved for only troupe members, but anyone may attend the reunion on Saturday and Sunday. We have invited friends, groupies, and technical “hot shots” to attend, as well as current and past AERO members. Everyone is required to pay the $30 registration fee . Meals may be purchased separately: breakfast $10, lunch $15, dinner $25 per person. Anyone who wants to attend a meal must notify us and pay for the meal in advance. People who are not troupe members (i.e., friends and technical consultants) who are attending Saturday and/or Sunday only should pay the $30 registration fee and then for each individual meal. E.g., if you are going to come Saturday for lunch and dinner, you would pay $70. The Ranch will provide tents or you may bring your own tent, but it must be set up on one of their 8 platforms. Each of the 4 yurts contains 2 beds, and the Ranch will provide bedding for the yurts. However, you must bring a sleeping bag for the tents and tipis. Some of the cabins and rooms have private baths; others have shared baths. Folks staying in yurts, tipis, and tents can use the bathhouse. Everyone will pay the same amount for food and lodging. We realize, however, that some people might need more amenities with regard to accommodation than others. So when you register, please indicate which level of lodging you prefer and whether you have physical limitations that would necessitate a certain type of lodging. All of the rooms and cabins sleep 2 or 3 people, so privacy won’t be an issue. We will try to accommodate everyone and assign lodging based on need and preferences. There is space in the parking lot for one camper, so if you would like to bring a camper, please let us know. If you need some help figuring out logistics, please let us know. We can help you find a place to stay (at a friend’s house in Helena) the night before or after the reunion. We can also provide transportation to/from the airport, so there is no need to rent a car. Guests may stay Sunday night for $100, including dinner and breakfast. Many of us gathering at Feathered Pipe Ranch on Friday, September 16, have not seen each other for up to forty years, so catching up with each other’s stories will occupy much of this weekend. 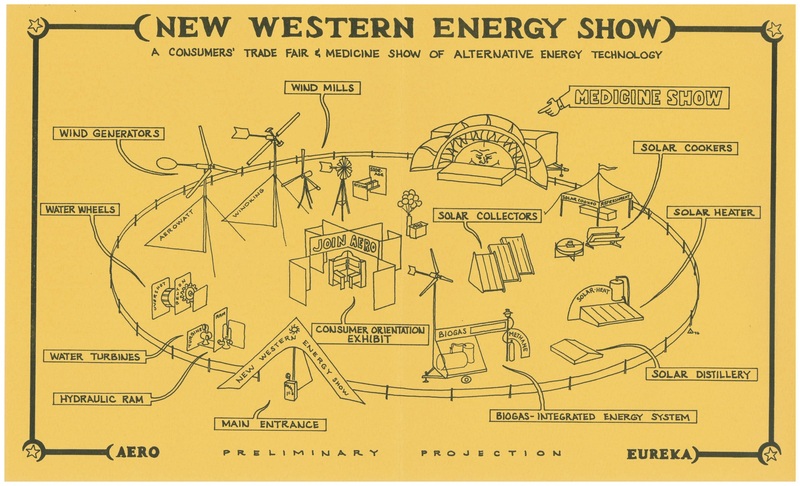 The organizers felt, however, that re-focusing our attention on what the New Western Energy Show was all about, and what’s been happening since, could be useful for us all, so we’ve set aside three hours on Saturday morning for a recap, an update, and a vision—or at least a glimpse—of the future. A detailed schedule for the program on Saturday can be found on the Reunion Schedule page of this website. We anticipate concise, energetic presentations that open into lively Q and A sessions and spark conversations for the rest of the gathering.